So, while I was perusing the local theater listings for the then in the future weekend, I came across a movie I had not heard of before opening at the local second-run theater. 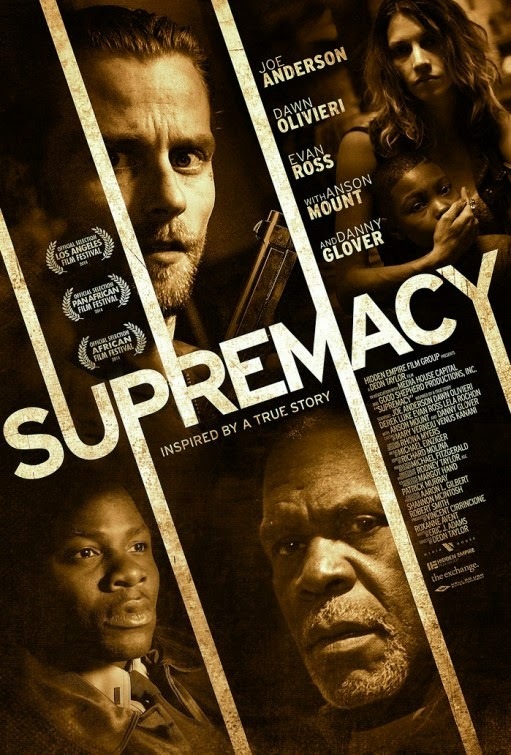 The movie is called Supremacy and it was set to have it's theatrical debut at a second-run theater. I have to admit to being a little bit confused. It is not often you find a first-run movie there. Anyway, I went and saw it opening night and found I was the only person in the theater. On one hand, private showings like that are great, but on the other hand, it was a new movie and no one was there! Supremacy was inspired by true events, and we all know what that means. There are nuggets of reality, but there is likely some funny business when it comes to actual reality. I am sure events have either been swapped around, enhanced, or flat out changed or removed, so, when it comes to judging the truth of this, be sure to take a grain of salt. As you know, I tend to shy away from “true story” type of movies, but there are always a few that manage to work. This is one of those cases, just remember not to take the depicted as gospel. 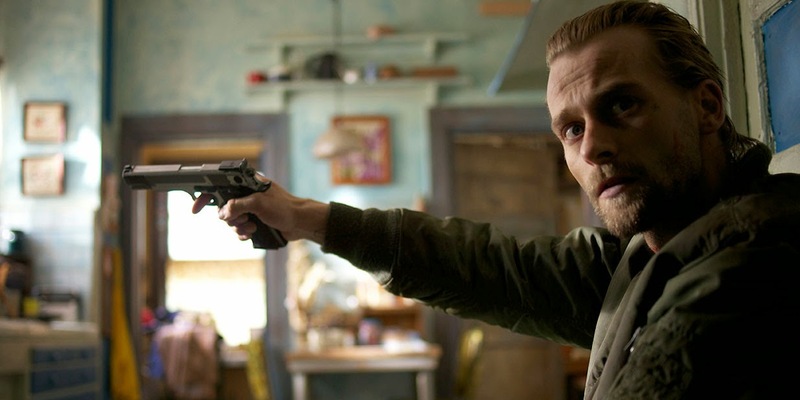 Joe Anderson stars as Garrett Tully, a white supremacist who was just released from prison after a 15-year sentence. While he is being driven home by a woman named Doreen (Dawn Olivieri), gets pulled over. Tully thinks the cop is out to get him and he kills him. Tully and Doreen hole up in a home occupied by Mr. Walker (Danny Glover) and his family. What follows becomes a tense standoff between the African-American family and the two white supremacists holding them captive. It is a simple story, but one that offers more complexity than is really needed. I think the most interesting thing about the movie is that none of the main players are presented in strict black and white terms. It would be very easy to paint this with good guy/bad guy, good/evil, black/white strokes and make it appear to be justified. Director Deon Taylor (Chain Letter) and screenwriter Eric J. Adams (Archie's Final Project) make everyone just a little more complex. The characters are deeper than you would expect and they take their time to reveal this over the course of the film. 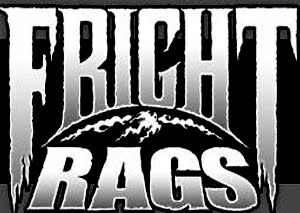 One of the elements that really make you see that this tale has some complexity comes shortly after the home invasion. It involve's Danny Glover's patriarch talking to the hotheaded son of his girlfriend. The son wants to jump Tully and kill him, but the older man knows better, having spent some time in prison himself, he has a different idea of what it will take to survive this encounter. The deeper into the film we get, the more depth is added to these characters. It is almost as if Tully is convincing himself that his long held beliefs may be incorrect. Supremacy is a solidly made film that has some real tension in it. One of the best hings about it, besides the suprising depth and complexity of character, is the performance from Joe Anderson (Across the Universe, The Ruins, The Grey, Horns). He delivers a great performance as the desperate Tully, stuck in a situation and dead set against going back to prison, he is forced to confront himself and I am not sure he likes what he sees. This is certainly a good film and deserves more attention than it is likely to get.